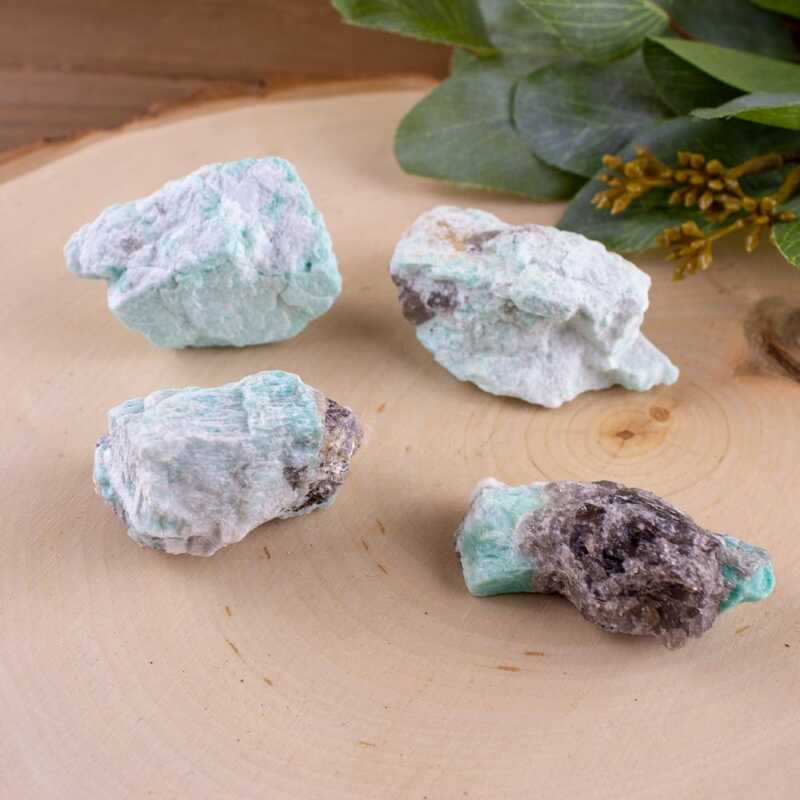 Amazonite is a variety of Microcline, also referred to as an alkali feldspar mineral. This crystal forms in small prismatic crystals, or large masses. The colors of Amazonite range from a deep blue, to Turquoise, to blue-green. The stone was first reported back in 1847 by A. Breithaupt and it’s name derives from the Amazon River in Brazil, which host an abundance of Amazonite. Although it was reported in 1847, Amazonite is believed to have been used for at least 4,000 years. Ancient civilizations such as the Egypt, India, and Mesopotamia used this stone, and even a special scarab ring was found in King Tutankhamen’s burial chamber. Due to it’s forming in masses, many past civilizations used Amazonite as armor, talismans, amulets, trinkets, and writing slabs. Amazonite is a stone of peace, truth, harmony, and communication. It gently soothes the nerves, and it’s energies can be felt to the touch. This stone radiates blue rays full of rejuvenating vibrations that are here to calm the heart. Any environment that Amazonite is placed in will calm the energy and fill the air with positive energies. It’s been called the “peacemaker stone” due to its communicative abilities. Our heart and throat become linked, thus allowing the truest thoughts to surface and be spoken with ease. Emotions usually play a role when trying to express any truth, making it naturally hard to speak from the heart due to the power of the mind. This crystal provides flowing energies just like the river in which its found. Amazonite encourages adventure, love, inspiration, and free speech. 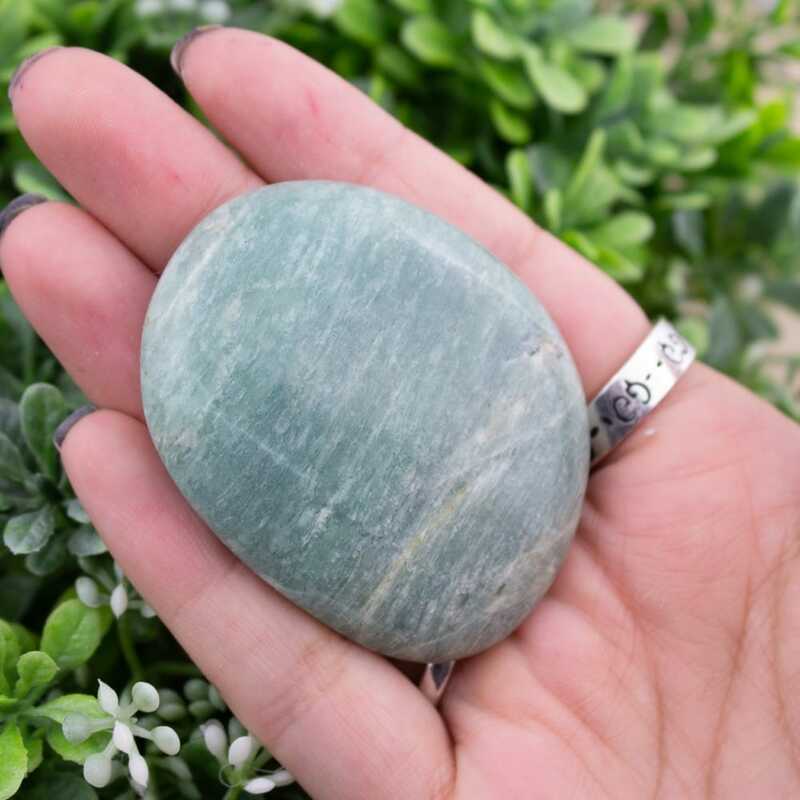 When trying to communicate difficult topics to the ones we love, try placing a piece of Amazonite in your pocket and allow it to start working. Let the stone calm the environment and dispel any negative energies that may be near. Conversations will soon flow and allow nothing but the passionate truth to be vocalized. Amazonite also empowers and strengthens any intention that may be set in it. This special mineral assists in manifesting a path to our biggest dreams and desires. The Council recommends you vocalizing your desire while firmly holding a piece. Let the universe aware of what you plan on achieving and the path your going to take to make it a reality. Amazonite reminds us that we are in control of our own destiny and our decisions will affect our outcome. Amazonite has been commonly found formed intertwined with Smoky Quartz and Black Tourmaline. Both combinations provide self-transformative vibrations while also grounding our spiritual energies down to earth. The energies are the nucleus for opportunity, growth, and development of ones true self. When working with Amazonite, it’s important to place a piece on your throat to fully unlock your chakra. There are a few stones which also radiate the same blue rays full of high vibrations that should be used as well with Amazonite. Chrysocolla, Aquamarine, and Turquoise all enhance our communication abilities and allow for the highest truth to be spoken. For many years Amazonite’s color was believed to be derived from Copper, but a 1985 study suggests otherwise. The study showed that the color was actually created from small traces of lead and water within the feldspar.